The conversation of body image, self-acceptance, and self-love is one that continues to be an important piece that all girls and women must hear, no matter the age, must have. It includes all body sizes, shapes, and varieties. Promoting healthy body images should be a priority for media publications tailored for females in the 21st century and we, at SHEEN Magazine, reiterate the importance of loving the skin you are in and embracing who you are, whether you are thin, curvy, muscular, or athletic. We talked to Olympian athlete and YouTuber, Natasha Hastings about her career, lifestyle interest, and self-love! 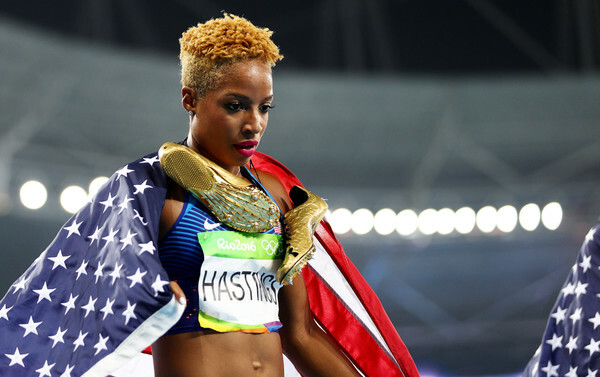 Natasha Hastings, 30, better known as the 400m Diva, is a USA Track and Field World, National, and two-time Olympic gold medalist that captured the eyes and hearts of Americans this past summer when her and Team USA teammates, Courtney Okolo, Allyson Felix, and Phyllis Francis swept the competition in the 4x400m relay, continuing a streak that has not been lost by USA since 1996. Just this past week she competed at the Penn Relays in the USA vs. the World series of races in the 4x100m with USA teammates Kala Funderburk, Jaide Stepter, and Turquoise Thompson. 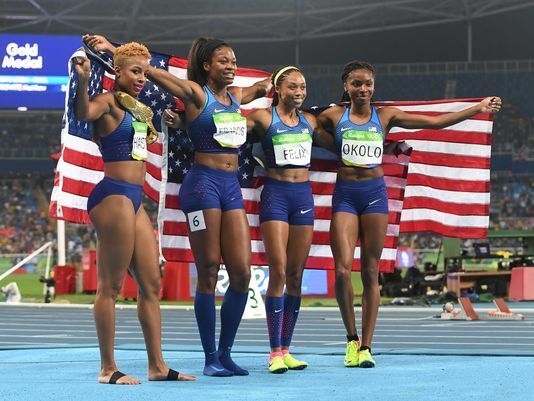 Team USA came in 2nd by less than 1 second to Jamaica. According to Hastings, this is the busy season for the Track and Field athletes as they prepare for the Nationals in June, leading up to the World Championship in London in August. Yet when it comes to Natasha Hastings, there is more to her story that meets the eye and she has taken to social media, YouTube particularly, to use her platform as a world-renown athlete to share her insights into her career in sports, her passions of beauty, hair and fashion, as well great conversation on self-acceptance and body image. She was a student athlete at the University of South Carolina and graduated with her bachelors in exercise science. At USC, she discovered that body image issues don’t end after high school and some of the women who have it worse are the female student athletes. Check out more from Natasha Hastings in our Shades of Blackness issue on stands June 27th and follow her on Twitter, Instagram, and subscribe to her YouTube channel here.